Shopping for Avengers Pint Glasses? Lift your glass to Hydra. 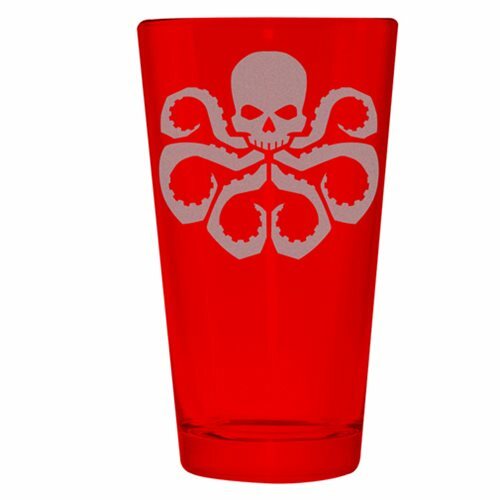 In particular, lift this 16-ounce Marvel Avengers Hydra Etched Pint Glass in tribute to the terrorist organization whose emblem appears thereon! Hand wash only. Not dishwasher safe. Do not microwave. Measures approximately 6-inches tall. Ages 13 and up.